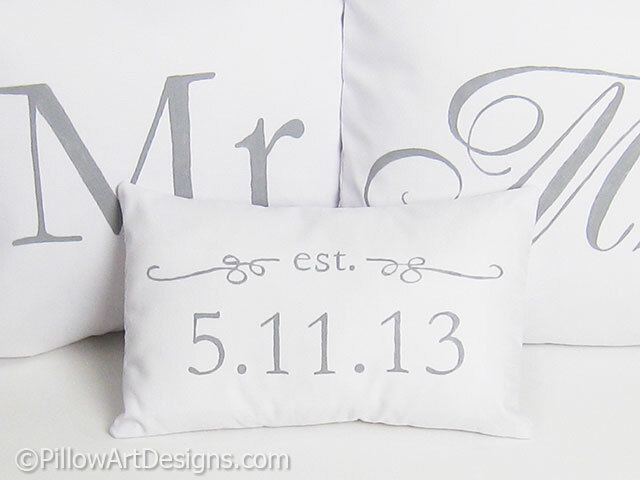 A perfect gift to celebrate wedding, anniversary or any other special occasion celebration. Covers are made to fit a 16 inch X 16 inch pillow inserts (not included). 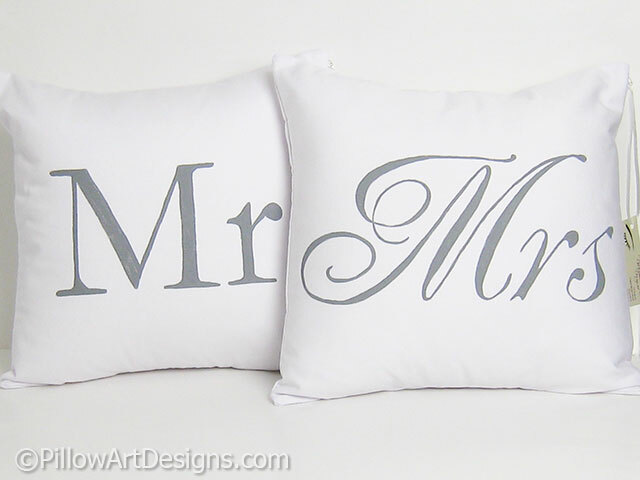 The Mr cover is done in a masculine style font, the Mrs cover is done in a feminine style font. The mini pillow comes stuffed and ready to enjoy, no insert needed. Measures approximately 8 inches X 12 inches. Fabric is white cotton twill. 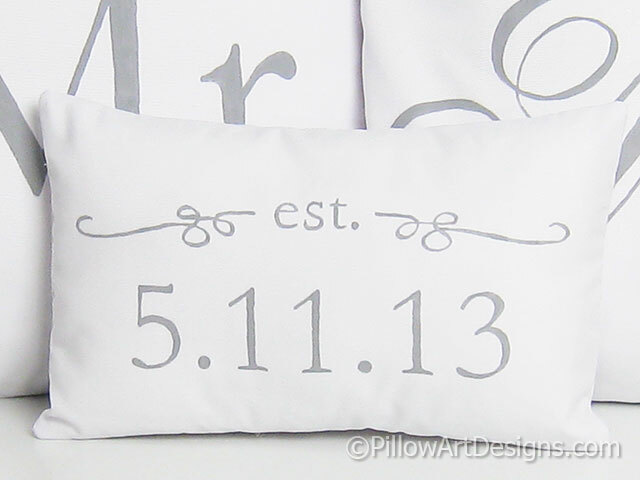 All pillow covers are fully lined with white cotton polyester giving them a nice fit and finish. Example set shown in 'stone grey' paint. To order, simply 'add to cart' and proceed through checkout, don't forget to send me an email with the date you wish to have on the mini pillow and colour of paint you prefer me to use. I can typically have your order done and shipped within one week, sometimes earlier (depending on my workload).